You don’t have to only wear sneakers with jeans and shorts. These days, dressing up your sneakers is bang on trend. Here is how to do it with style. 1. Choose sneakers you can dress up. This is super easy. You will find everything from slightly dressed up to super bling glamour. 2. Think out of the box when pairing them: Wear with a dress or skirt rather than just jeans. 3. 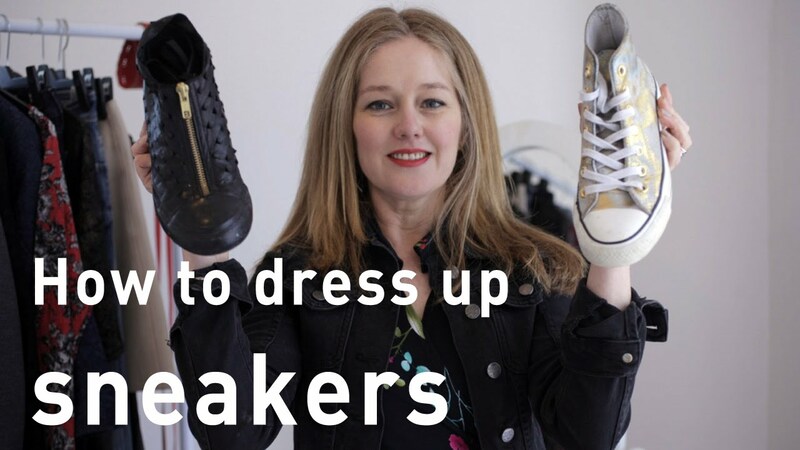 Mix elements of casual and dressy: For example, if you are wearing sneakers with a dress, wear a denim jacket rather than a tailored jacket OR wear a tailored jacket with jeans, a tee and a pair of sneakers.